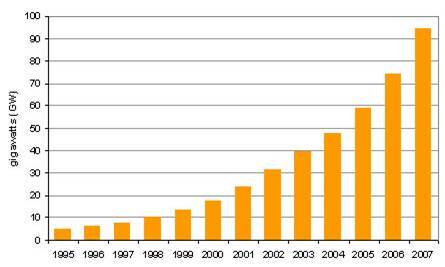 Solar photovoltaic (PV) power gets cheaper every year. Concentrated solar power (CSP) plants can now produce power 24 hours a day. (See Base load electricity below). A recent Price Waterhouse study found that Europe could run on 100% renewables by 2050. Renewable plants are not a potential terrorist target – Did you know that Koeberg was attacked by ANC (1982) and AWB (1993)? This section is weak. We are not in a position to use wind or solar as a primary power source. Nuclear power is clean (compared to anything we use currently) and virtually unlimited. Obviously solar would be ideal but the fact is we just havent got the technology to a level where its affordable to use as a primary source. The possibility that fusion reactors will soon be possible holds great promise as this will provide an unlimed nuclear source of energy which doesnt create any nuclear waste products. In the South African context, we currently produce about 5% from nuclear power (when both reactors are operating), and about 0.02% from renewables. The question is, what should we spend money on next? Specifically, is it a good idea to budget for R300 billion of taxpayers money on nuclear power plants? Or would it make more sense for the government to use this money to promote renewable energy, so that we can start the process of catching up to other countries such as Germany (a nett exporter of power) which is close to 20% electricity from renewables? That would also mean we could avoid the currently unknown costs of nuclear waste disposal, and also the risk of a radioactive leak or accident.